Tally Sweater, Wella Leg Warmers and Lydia boots are 50% Off only @ Main Store! Also, we still have the items from last weeks on sale. Follow the sale badges on the floor! 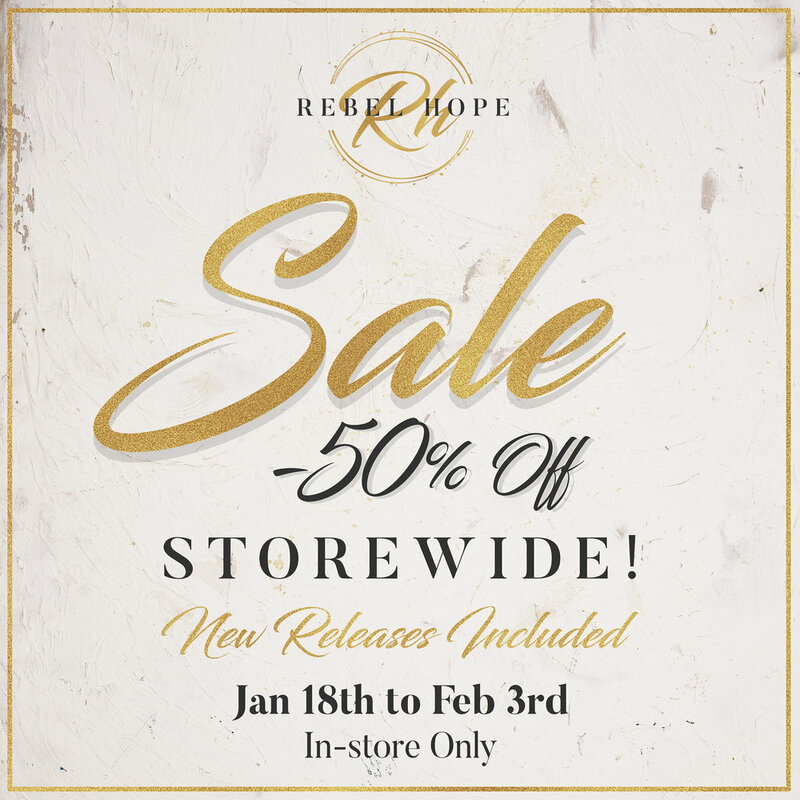 50% Off Storewide @ Rebel Hope Designs! Need to search for something? Check out our previous releases!